Lissenn….take that picture in for a moment. This is a mood for the day, the week, the month, for my entire LIFE, Chile! Whew! ‘Gina don got it!! Good is good indeed! 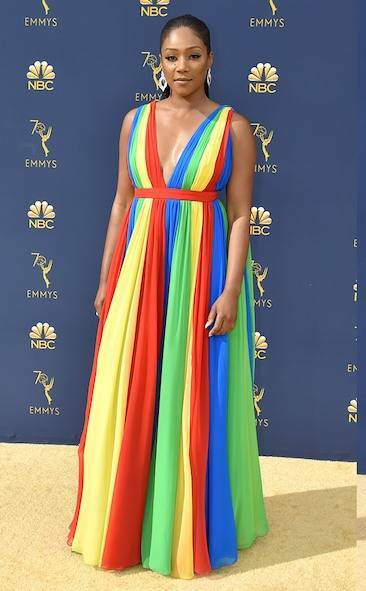 TIFFANY HADDISH in one of my favourite designers, Prabal Gurung. 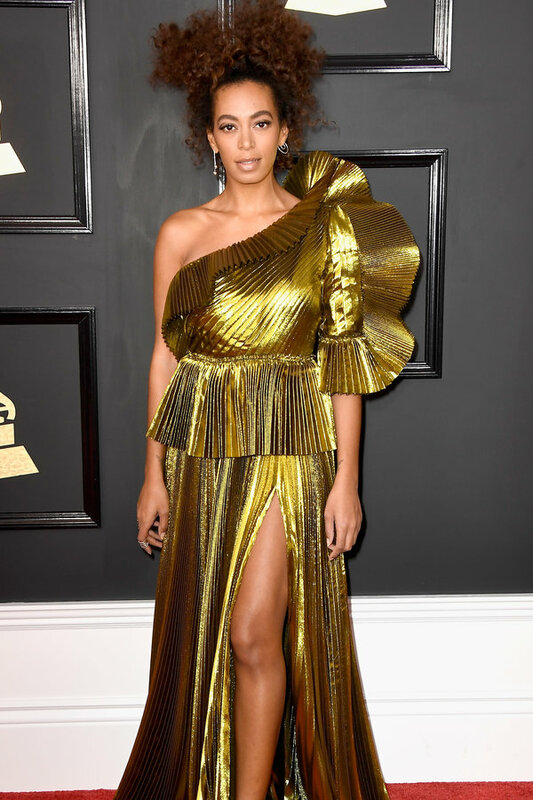 The colours in this dress make me smile, it makes me even happier when I found out she was paying homage to her Eritrean heritage. So last night’s theme saw the collaboration of fashion and religion (Catholicism) and boy were there some looks! Leslie Jones! I just love love love how Christian Siriano came through (again)for Leslie, I can’t even explain it. Have a looksie and let me know what you think. RIHANNA!!!! Serving face and gown. But you already knew this. Because if you want someone to nail your theme, you call Rihanna. Let me tell you that when her name was called, the tears overfloweth. I was legit bawling. I haven’t even seen Fences yet but just knowing how hard this woman works, how she embodies her characters and her passion for storytelling is enough for me to say give her the damn Oscar! My girl, Taraji P. Henson who stole the show with this Reem Acra gown. Whew. Breathtaking. I finally went to see Hidden Figures this past weekend and it was just so fitting that this movie came out on top at the SAGs. It deserves all the accolades it is getting. Those women’s names deserve to be known and this story is way past due.